Two fine Vouvrays we have enjoyed recently. 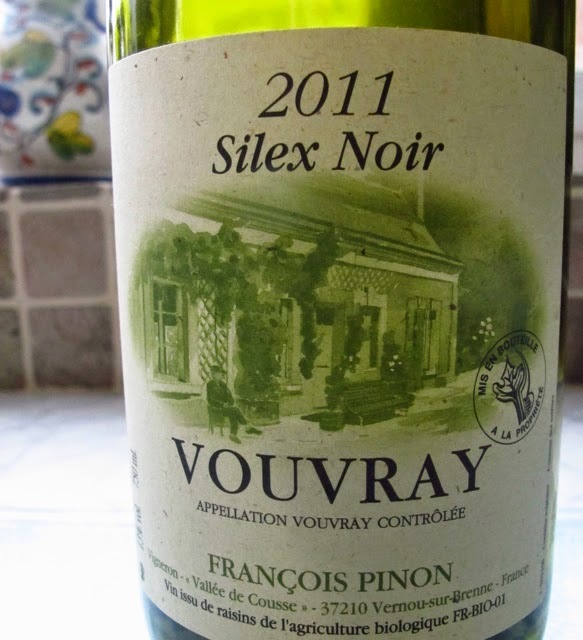 The first 2011 Silex from François Pinon (Louis Dressner profile), one of Vouvray's best producers. This bottle was part of a gift from Sopexa for having suggested three wines from their Abolutely Cracking Wines from France. The 2011 Silex Noir has weight with an attractive mineral character with good length making this is a lovely balanced wine although still young. We enjoyed it firstly as an apéro and then with some cheese. It should continue to improve over the next 20 to 30 years. Despite a little seepage as as the label shows, the level was good. Like many 1990s, which took on colour very quickly – much more rapidly than the 1989s that have usually remained pale in comparison, this is mid golden edging caramel coloured. Rich, opulently honeyed with considerable length, this is a wine for sipping. Although delicious because of its richness I'd find it difficult to drink more than a glass or so at one sitting. However, firmly stoppered it will last a good week in fridge. We decided to open it because of the seepage. 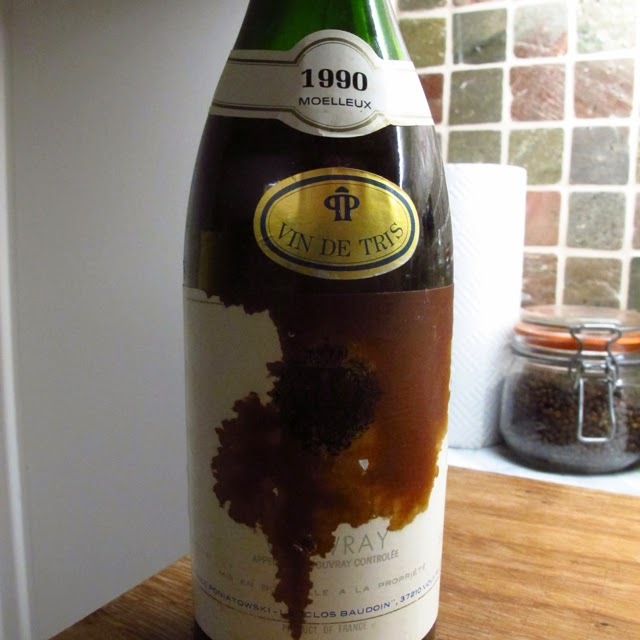 However, but for this, we could have kept this bottle for at least several more decades. In 2002 Prince Poniatowski started renting his vines to François Chidaine, who then bought the estate in 2006.